LG is slowly letting details of its upcoming G Watch trickle out, and today we're just a little bit wiser about the Android Wear-powered device. Until now we'd only seen the "stealth black" version of the watch, but LG has revealed a new "champagne gold" version that rocks a white band and looks a bit more lively. LG has also confirmed that the G Watch will have an always-on display so it won't require waking up every time you need to check the time, a la the Samsung Gear 2. 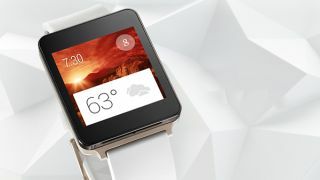 Finally, like the Pebble and Sony Smartwatch 2, the G Watch will also be water and dust resistant. The upcoming watch now has its own dedicated website which you can go visit here while you eagerly await its late-summer arrival.